Inspired by her 12-year old daughter, 'Star-filled Skies' captures the essence and innocence of childhood and beyond. 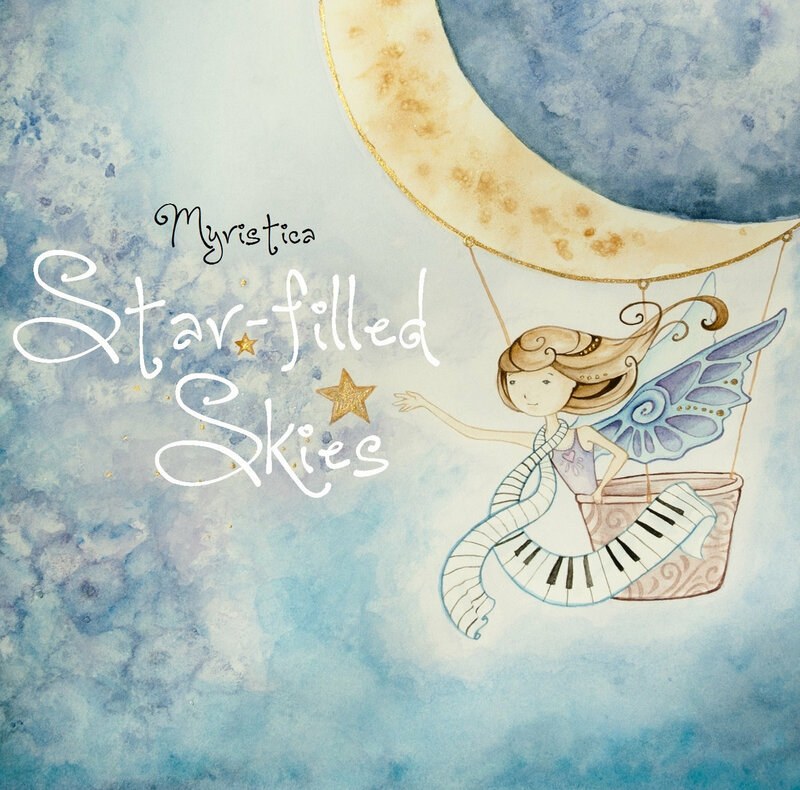 Myristica's trademark sounds can be heard through her delightful music-box lullabies, lightly orchestrated piano vignettes and transportive soundscapes. Guest artists include multi-instrumentalist Phil Thornton, Cincinnati Symphony Orchestra's Chris Philpotts, and Jenny Benwell (from The Moors). Born and raised in Sussex, UK-based composer, Mei-Ling Grey, started writing music at a young age after discovering piano at three years old. Her parents fuelled her passion for writing her own melodies by encouraging her to perform, at the age of 12, in summer concerts at school. She began writing music under the pseudonym, ‘Myristica’ in 1998. After taking a break to concentrate on her family she started composing again in 2011. Since then she has gone on to write three instrumental albums, ('Sea of Dreams', 'To the Moon and Stars', & 'Little Oak'). Myristica's magical and enchanting instrumental albums are filled with gentle, lightly orchestrated, contemporary piano vignettes, wistful waltzes, spacious, other-worldly and ambient soundscapes - Myristica's music is perfect for studying, relaxing or meditating to and is Ideal for therapists wishing to create the perfect relaxing environment for their clients. Myristica is a contemporary classical composer using influences from life, love, the universe, the moon and stars. Una joya más. Muchas gracias, amigos. Hay ghê đi. Cám ơn bạn <3 !